A casement window is one where all or part of the window opens outwards with either a side or top opening sash. 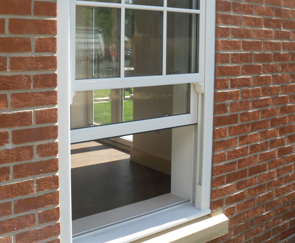 All our casement windows have the latest security locking features and can be fitted with special hinges to either restrict the opening of the sash or to allow for means of a fire escape. 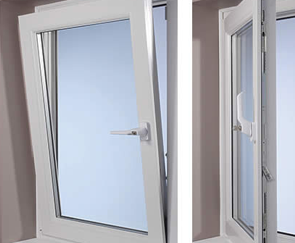 A tilt & turn window has a sash which opens in two ways. The whole of the sash opens inwards from the side allowing you to clean the outside pane safely from the inside of your home, or you can tilt the window inwards from the top to allow for secure ventilation. A sash window features two sashes which slide past each other and also tilt inwards for ventilation. Sash windows are commonly associated with period properties, but also look great on newer homes-adding a touch of class and allowing your individuality to shine through. 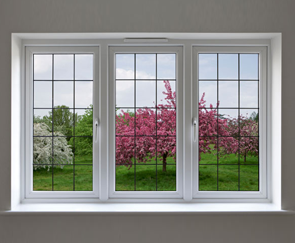 An energy efficient window is a window that has been energy rated by the British Fenestration Rating Council (BFRC) and has been awarded a Window Energy Rating (WER). Rated in the same way as white goods such as fridges, this allows windows to display a rating from A-G with an A rating being the best. We install A rated windows as standard..
Lower your energy bills by installing our windows with Planitherm Total glass. 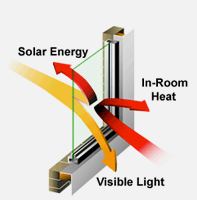 All our windows and doors are installed with the most energy efficient Planitherm Total glass. Its advanced coating reflects heat back into the room, whilst allowing the sun's warmth to pass through. With a staggering 25% of all domestic heat loss escaping through windows, the installation of energy efficient windows can significantly reduce the energy consumption of your home… saving energy… saving money. Colours.... add a touch of flair to your home. Our range of double glazed windows and doors are available in a wide range of woodgrain and coloured foils to ensure that they enchance and complement your home. 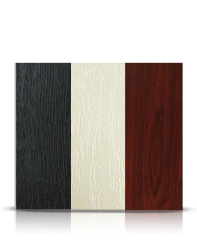 Available in three woodgrain finishes including Rosewood, oak and mahogany as well as 5 other foil grained colours including white, black, grey, ivory and dark green there is a colour to suit every home. 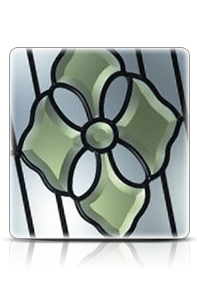 Personalize your windows with some stunning glass designs. If you want to add that final, personal finishing touch, an exclusive range of double glazed units are available in beautiful bevelled and coloured designs. Bevelled glass gives the ultimate in stylish looks and incredible appearance in depth. Coloured glass can be added to the border or positioned in the centre to create stunning visual effects.